Medical emergencies can strike at any time. No matter how much you want to control and prevent such anomalies or feel frustrated about it, the truth is you cannot do anything about it except for being prepared. One of the key requirements during such emergencies is reaching the hospital or nursing home on time so that your life can be saved or immediate medical attention can be provided. Therefore, hospital patient transportation is one of the primary concerns of the family members of any patient. We, at Amera Solutions, are one of the fastest growing Medical Logistics Coordination Agency which offers medical transportation across the nation. We can ensure coordination and monitoring by trained and experienced professionals provide ambulatory outpatient procedures along with all kinds of medical transportation. It does not matter where you are, we can make sure that your patient gets the requisite care on time with air medical transportation facilities too. 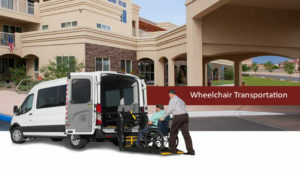 So, you can resort to us if you need any such transportation requirements for a hospital patient in areas like Dallas, Houston, Jacksonville, Miami, San Antonio, and Tampa. Here, we have put together a few things to check about a medical transport service. Take a look. First of all, you should make sure that the company you are hiring for this purpose is professional or not. The company must understand the importance of their job and ensure that they reach on time because a delay of a few minutes can cost you a life. Even if you are not in the same city, you can avail a quick air transport service to your location now. Or maybe you need a better healthcare in another part of the country, you can easily reach the area in your air ambulance. So, you must check whether the medical transport service offers air medical facilities too. So, without any further delay, if you think that we can be the right choice for you, quickly call us at 855-263-7215 now. This entry was posted in Uncategorized on September 26, 2018 by Amera Solutions.